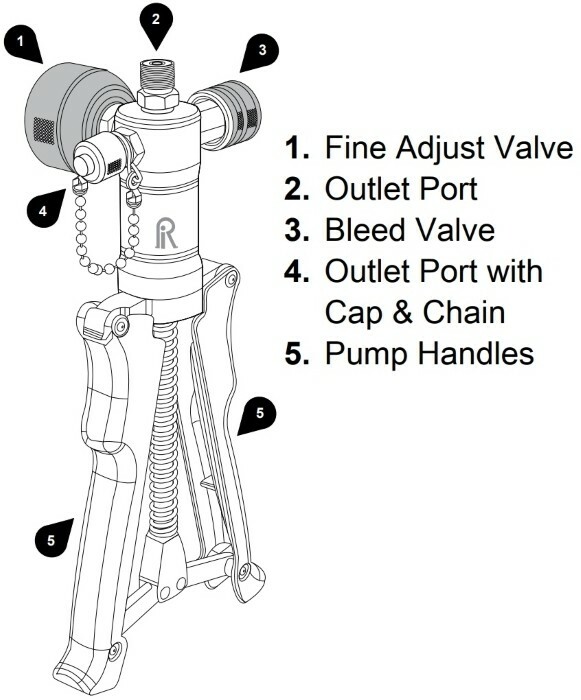 The Ralston DCAP pneumatic hand pump is designed for field-based pressure calibration, testing and custody transfer applications. A precision fine adjust piston provides control to 0.001 PSI right across the range; perfect for quick, accurate DP transmitter calibrations and switch testing. Ralston's comprehensive system of finger-tight Quick-Test hoses and adapters offers fast, reliable connections to a wide range of references and test points. Tough anodised aluminium and stainless steel construction ensures rugged dependability in the field. A modular design with replaceable parts means easy on-site maintenance.